The above info came from atomofish, and was edited by yours truly (contact me). The image came from imageshack. Strike Witches is essentially an action anime with more anthropomorphizations of classic military planes. The story takes place in a world that combines magic with 1930's technology. In this world, humanity is threatened by the mysterious forces of the Neuroi, who have attacked many areas on Earth. The human race is besieged by their enemy forces and the strange miasma they created in their wake. The year is 1947, and humanity's war with the Neuroi still rages. 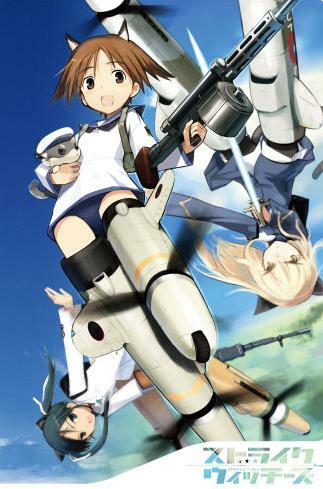 In order to save the world from this threat, a group of young women with high magical potential known as the "Strike Witches" is deployed in order to combat the Neuroi. With the combined power of the Striker Units, they are mankind's last trump card against this mysterious force.